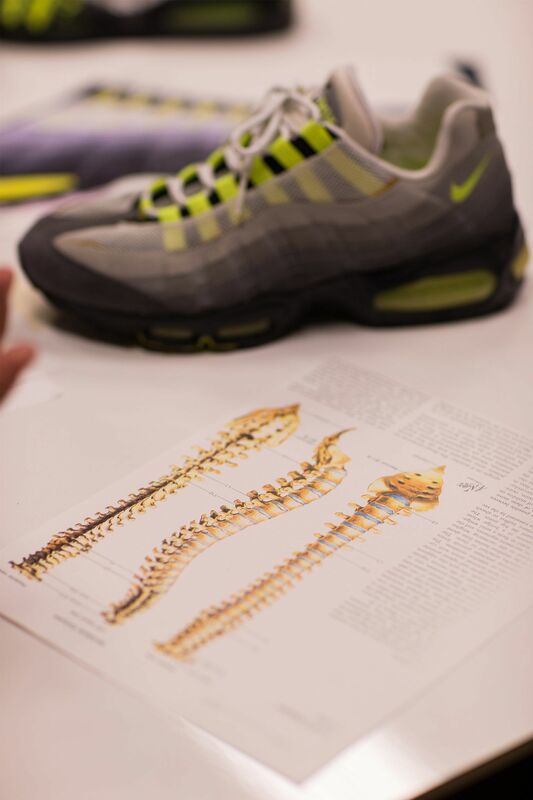 Two decades ago, the Air Max 95 changed footwear with forefoot Max Air cushioning and a human anatomy-inspired design unlike any sneaker before. 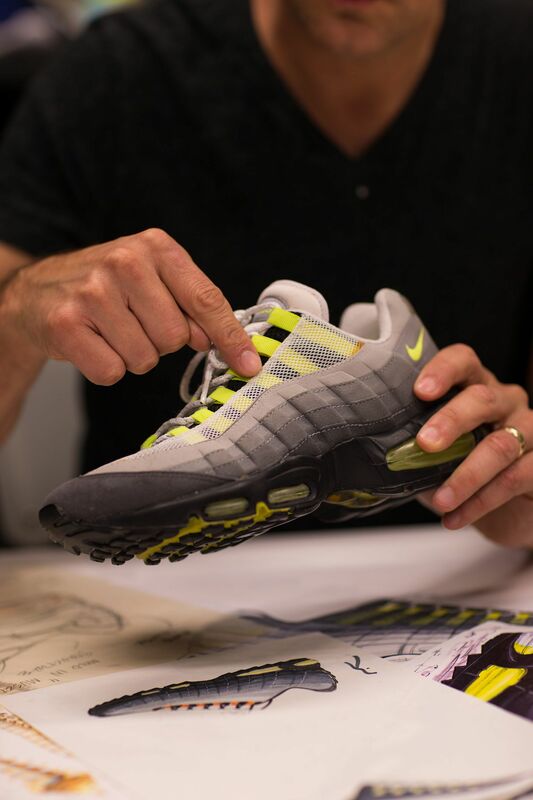 Conceived by Sergio Lozano, who was working in Nike's ACG category during the mid '90s, the Air Max 95 was originally imagined for larger, more powerful runners pounding the pavement and demanding maximum cushioning. 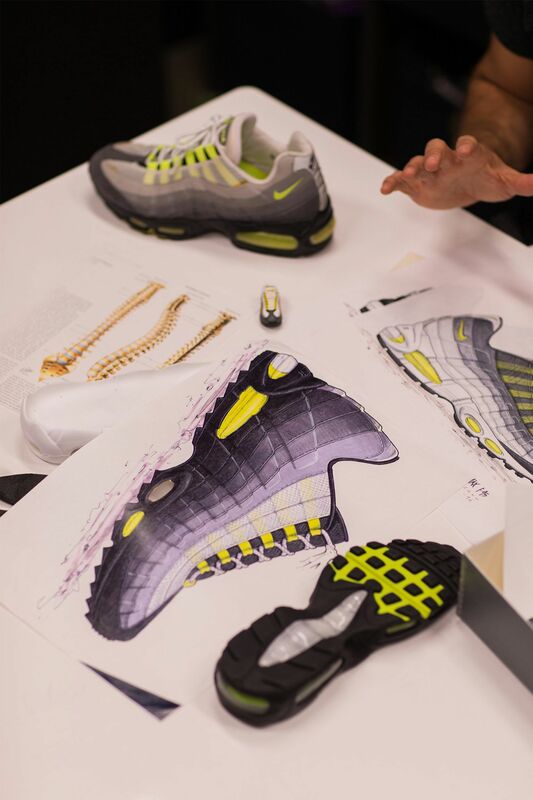 The design took shape via cues from the human body, with a lacing system inspired by a set of ribs, a spine-inspired outsole and a mesh and suede upper representing muscle fibres. This bold inspiration called for a layered upper construction with synthetic suede, stitched and compression moulded for maximum support without bagging out over time. 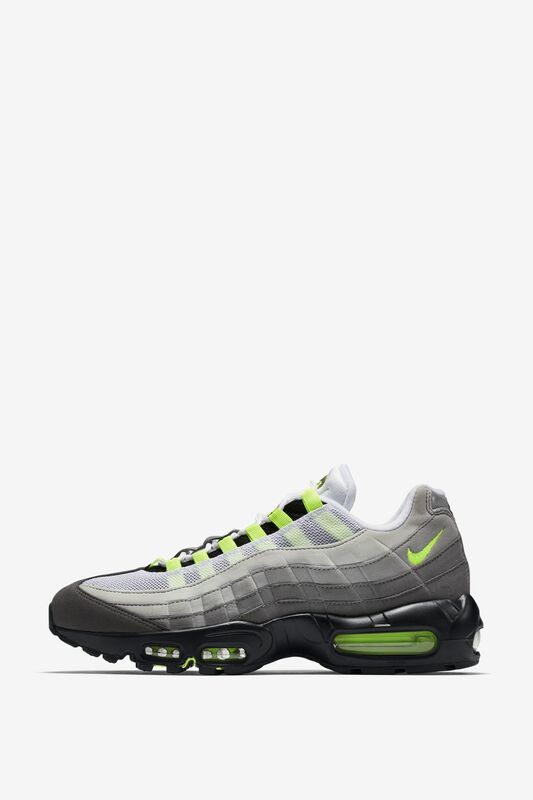 Mesh overlays provided breathability throughout the entire top of the foot, along with the Air Max 95's "Speed-Lacing" eyelets, designed to wrap the wearer's foot from top to sockliner. 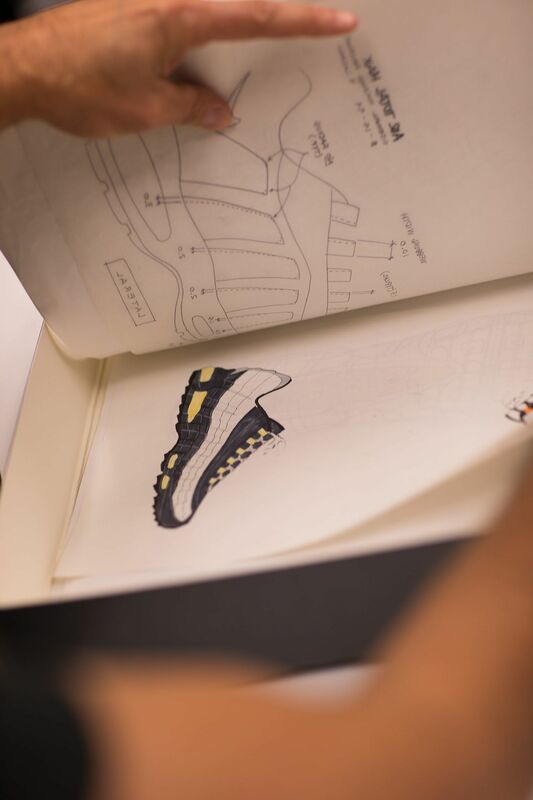 The shoe's colours proved just as iconic as its design inspiration. 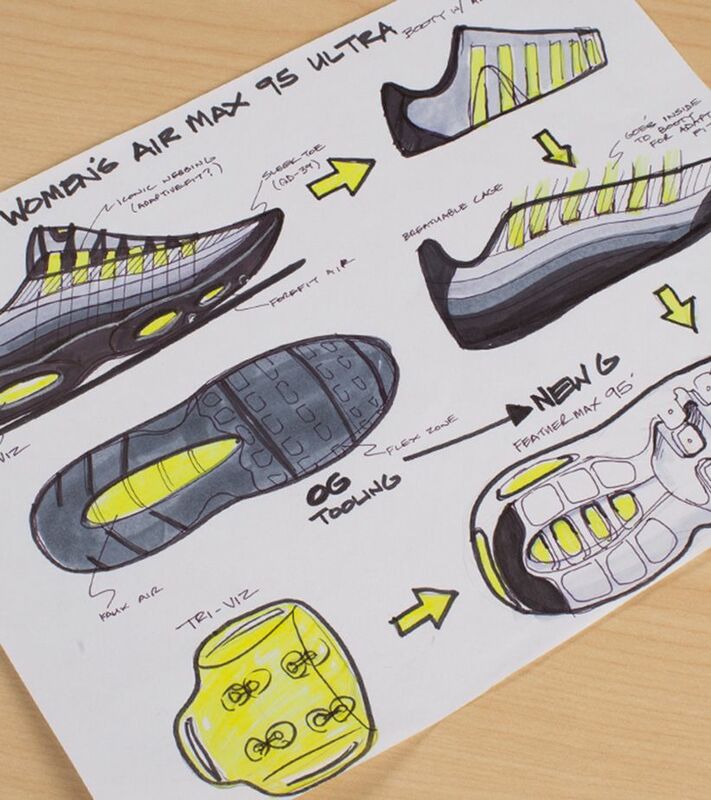 First released in grey hues paired with bright yellow accents, the Air Max 95 wasn't the first runner to employ a neon hue according to Lozano. "The neon yellow was not new. It was obviously part of our colour palette. It was also part of our heritage, you know? 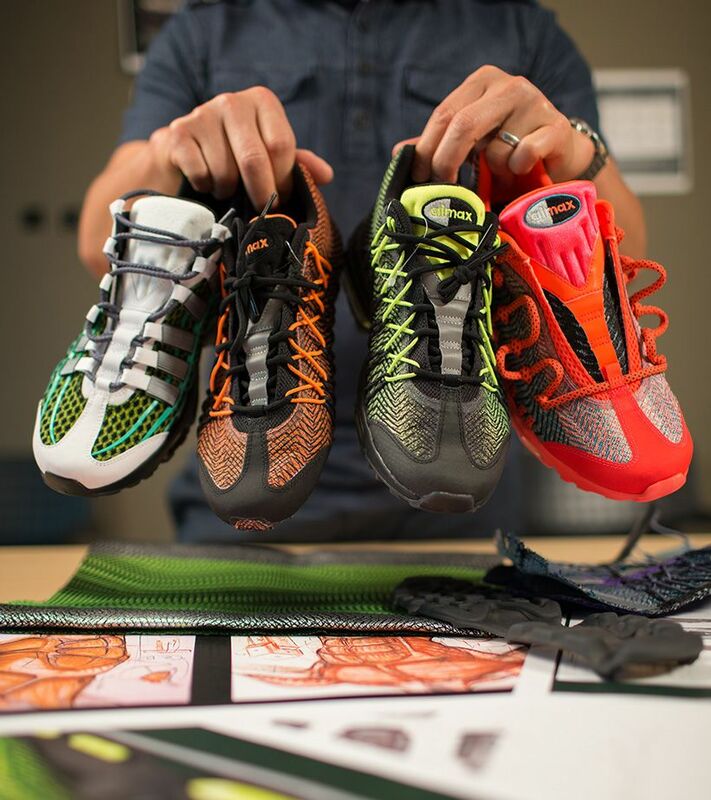 It's part of Nike racing heritage." The choice of colours also provided maximum contrast to underscore key design functions. "Let's use colour to emphasise the technology and some of the functional things we're trying to do with the shoe", Lozano recalled. A first-of-its-kind black midsole also helped to mask dirt after runs. Introduced in 1995 and still going strong, the Air Max 95 that started it all is now set to live on long past its 20th anniversary.